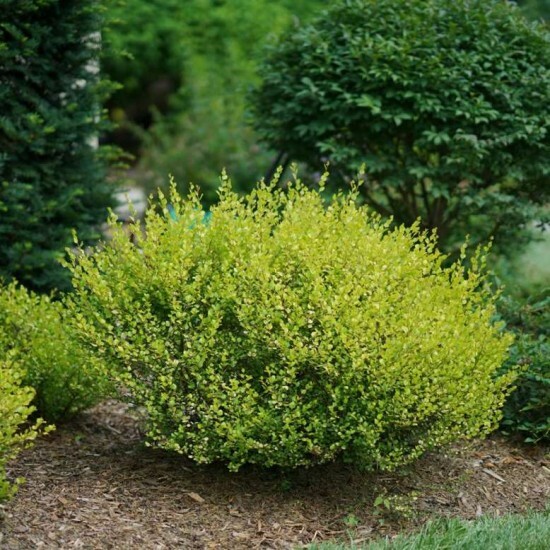 Cesky Gold™ dwarf birch is an exceptionally cold-tolerant dwarf birch. The new growth appears in sunset hues of yellow, red, and orange, and then cheerful chartreuse foliage carries the plant through the entire season. Allow to grow naturally, where its attractive, fan-like habit can be enjoyed, or prune it into a shape, like a low hedge. Cesky Gold™ is very adaptable to pruning so you can turn it into just about any shape you want! Plant this tiny shrub in moist, well-drained soil, and give it plenty of sunshine or partial shade.